This weekend, my Dad was finally back from feeding his cycling addiction in France, and with Mum away in London with Granny, it was a great opportunity to meet up for some bagging. I met him at Lawers Hotel carpark on Friday night, where we had a pint or two, and left my car. We had talked about camping, but Dad had brought the van, so we made our way up to the car park where the visitor centre used to be, and caught up over a few cups of tea before bed. Dad didnt get up until 9 on Saturday, so it was probably 10.30 before we got going up the tourist track toward beinn Ghlas, It was misty, but showed all the signs of being a cracking day in a whilie, so we took our time, waiting for the weather to clear. I'll skip the details of the route, because there are no doubt hundreds of descriptions! 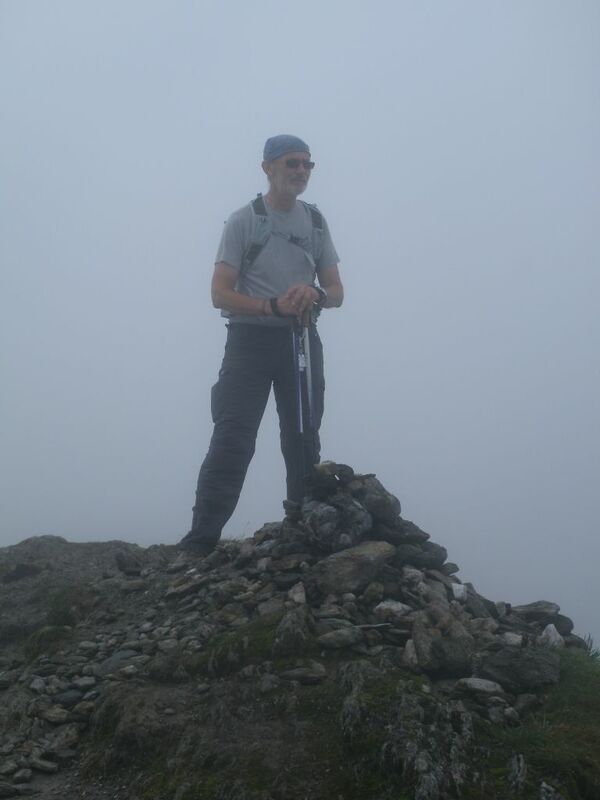 We made the summit of Beinn Ghlas in the mist. We both agreed that Beinn Ghlas was the easiest munro either of us had ever bagged as we stopped for a tab in the bealach before tackling the ascent to lawers. The top was still a bit misty, so again we plodded rather slowly to give it a chance to clear.. and it worked! 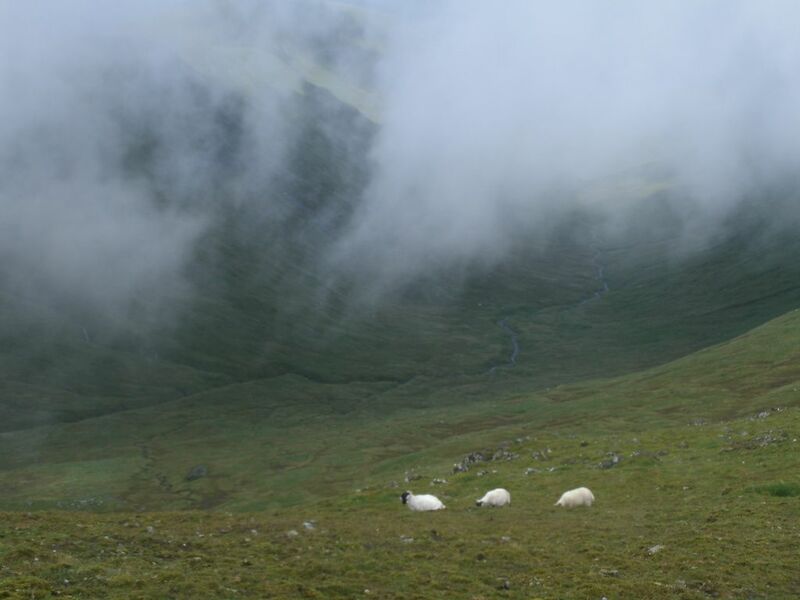 The mist came back a bit, but by then, we had eaten our scraw, and were taking a rocky path onward toward An Stuc. 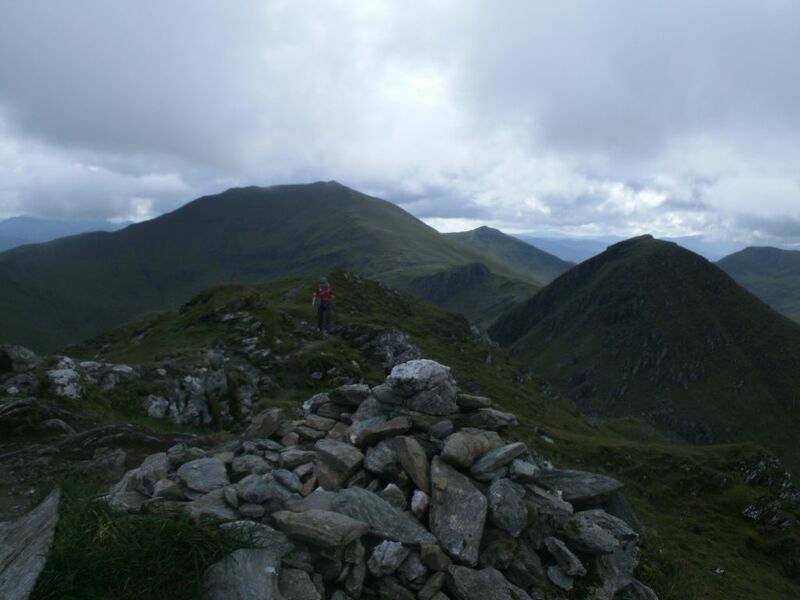 We stopped at the summit awhile, and 2 of the chaps we had chatted to on Lawers, were coming back toward us.. They were chickening out of going down the steep side of the hill! That made me a little worried, but my dad said that he had never heard of it being tricky so it must be OK.. We went down for a look, and sure enough, it wasnt tricky at all! Goodness those chaps must of been born without baws .. It was just a little steep. dad said he wanted to come back in Winter, as he thought it would be more fun then. So onward and upward toward Meall garbh. It was an easy path, but the rockyness made it a bit more interesting. We were soon at the summit for another tab break. Theres not a lot to be said about the journey to Meall Greigh really, a well worn path through the grass on easy angled slopes. Dad had bagged this one before, but was glad to do it again as the last time had been in poor conditions, and Meall Greigh offered the best views of the day. We found a wee baggers path that took us down To lawers burn. 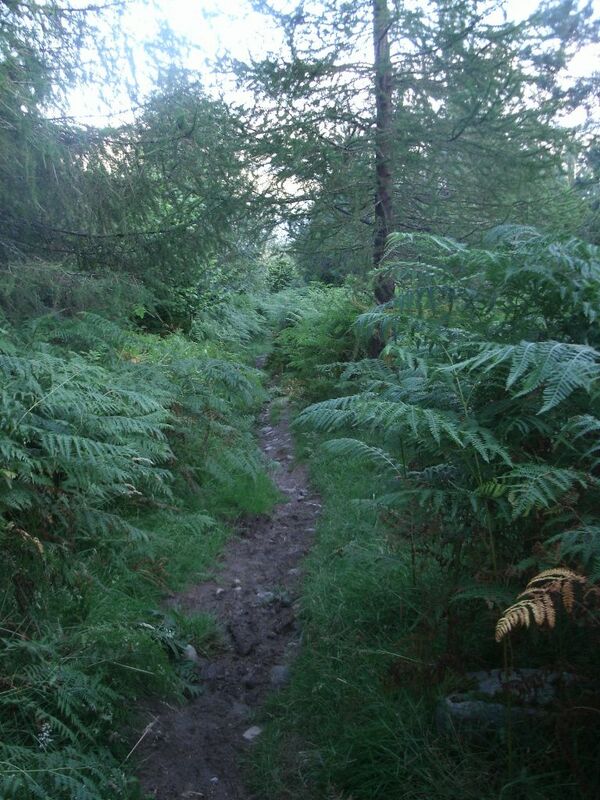 And we were soon winding our way through the forest back toward Lawers Hotel, with nowt but beer on our minds. It had been a hot sweaty day, but we were both in agreement that these hills were the easiest pentabag we had ever done. I still felt fresh as a daisy, and I wished we had done the ridge the other way round so I could of done the other 2 of the 7 as well.. Hindsight is a wonderful thing! Still, what a day! Just beautiful.. 5.5 hours walking and 2.5 hours to absorb the views and Dad loves hillspotting. So thats what it's supposed to look like! I did the reverse of this route last weekend in permanent clag. 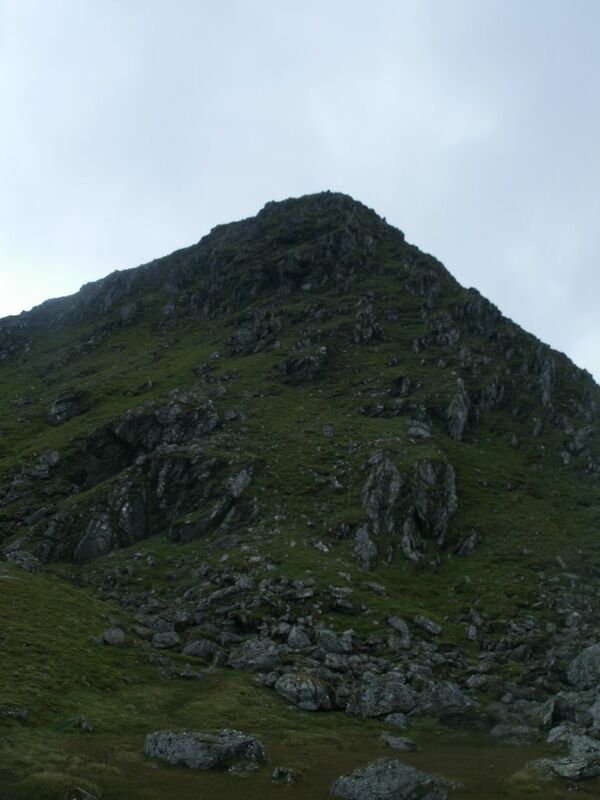 Was a little worried about the ascent of An Stuc, but like you say, found it pretty straightforward. It leaves me wondering whether I could easily do all the other Munro's (with the exception of the ones on Skye) without any scramble-induced worry!? 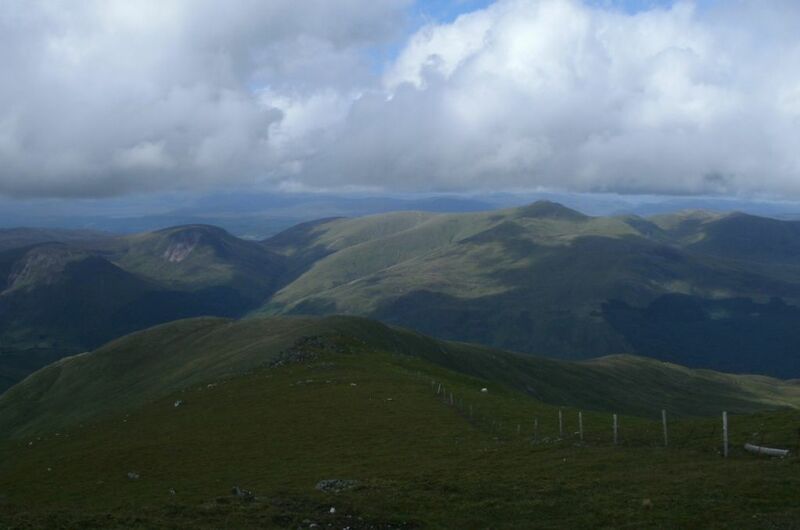 the lawers hills are an excellent walk in the good weather, Goodness those chaps must of been born without baws .. It was just a little steep. 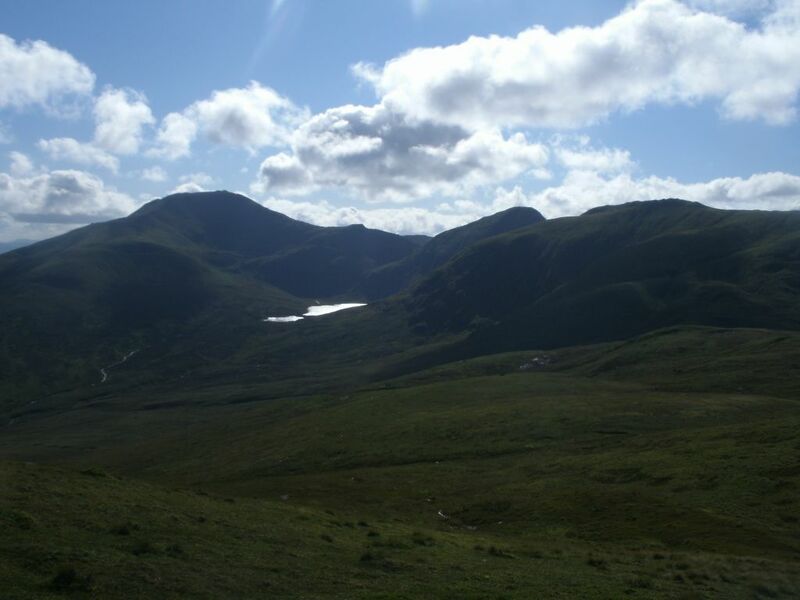 When I went down An Stuc years ago I had no preconceptions about its steepness and it was no problem. Sometimes these places earn a reputation they don't deserve. Your report struck a chord with me doing it with your dad. 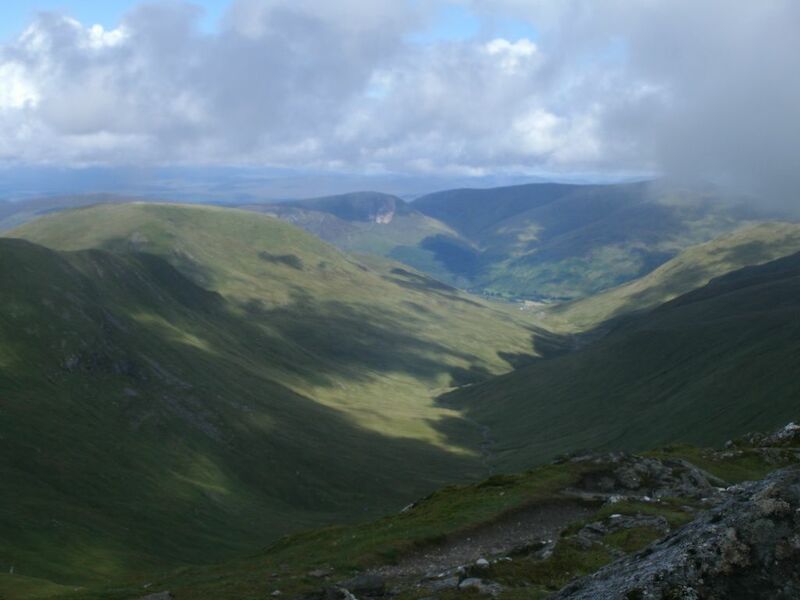 I remember my dad going off to climb Ben Lawers when I was a kid. While he did that we mucked around on the shore of Loch Tay near Lawers village. Now I wish I'd climbed it with him. Do as many hills as you can with your dad while you've got him! Quoman - Well one of those chaps was wearing chords, so that said it all to me.. He must of been roasting! 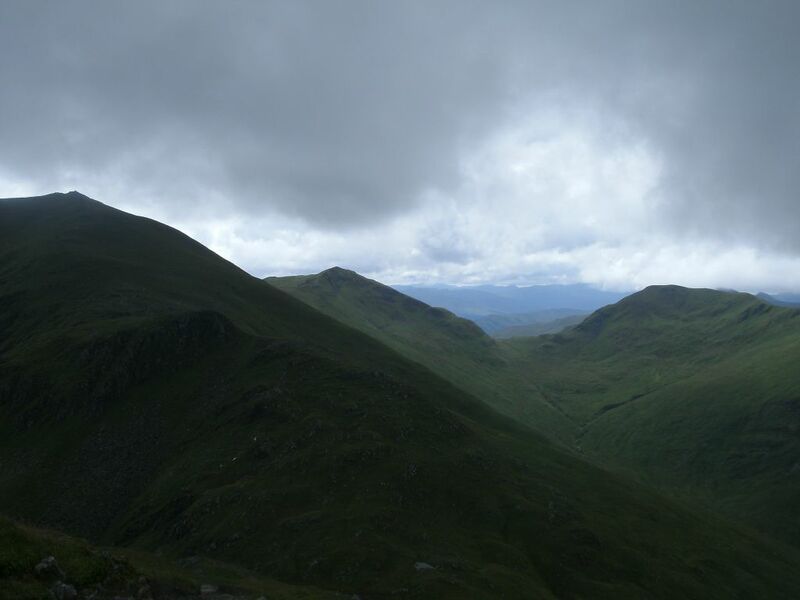 I was interested to read your comments on this walk BC because I was up there in May and had a terrible time on Beinn Ghlas and Ben Lawers. 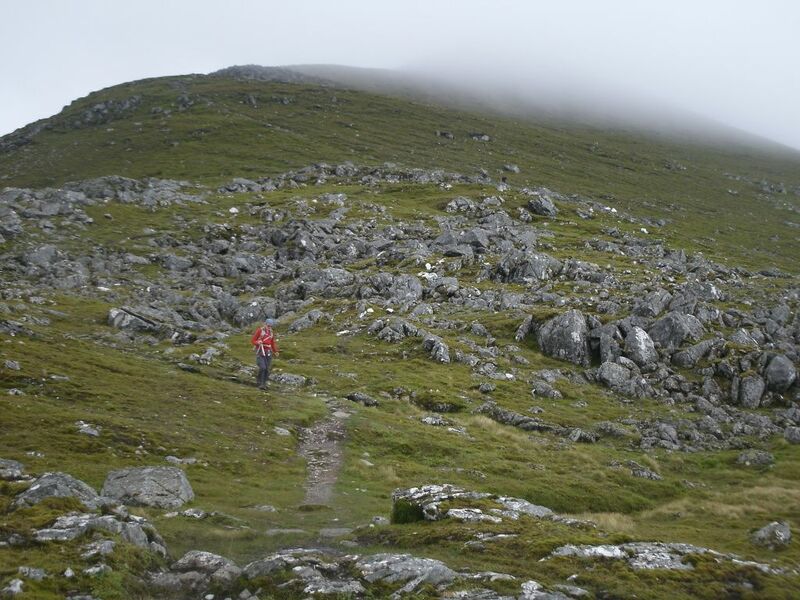 I absolutely hated the scramble over the rocks on Beinn Ghlas, especially towards the end, and when we got on the tiny summit a thick swirling mist came down and we could see only about two feet in front of us. It was horrible to be caught up in that. Having said that, Loch Tay is one of my favourite places and I am hoping to go back there next year. 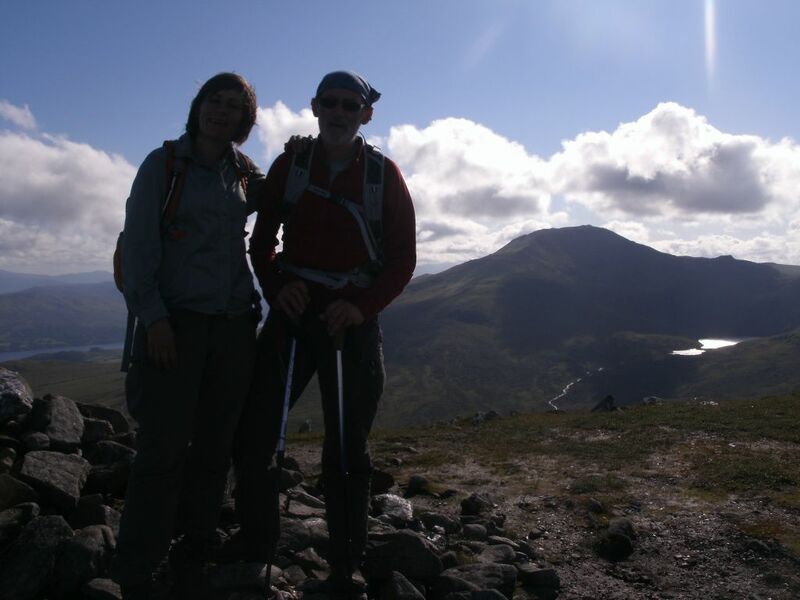 Really nice to climb the Munros with your dad, why not make a Munro map on this website for him, every time he remembers a climb you can tick it off and then see how many he/you still have to do?